Literary Classics: Blood’s Song earns the Literary Classics Seal of Approval. Blood’s Song earns the Literary Classics Seal of Approval. Anya is a vampire plagued with amnesia. As with most vampires she does not age, but unlike many she only consumes the blood of animals, as she considers humans to be protected. Anya has no interest in harming humans and because she will be forever-young she enrolls in high school. She befriends a select group of humans with whom she shares a special bond. And she does her best to keep her powers at bay as she does not wish to make others bend to her will. 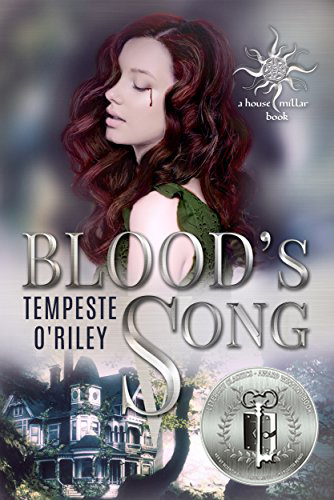 Author Tempest O’Riley has crafted a unique rendition of the vampire story in which vampires and humans peacefully co-exist. This element makes for a fascinating and entirely unique spin on typical vampire stories, lending a level of friction as caused by Anya’s desire to control her urges in order to maintain a relationship with her human friends. We look forward to the next installment in this series to see how Anya’s story progresses and to hopefully learn more of the backstory leading up to Blood’s Song. Recommended for home and school libraries, Blood’s Song has earned the Literary Classics Seal of Approval.